At TEDxDelft 2012, Boyan Slat captivated the audience with his idea for cleaning up marine litter. In a nutshell, he proposed to remove plastic from the oceans with the help of floating booms that run on natural energy. A green solution in more ways than one: no fossil fuels needed, no by-catch, and with clean oceans as well as a huge amount of potentially reusable plastic waste as an outcome. In fact, the process may well pay for itself – or even turn a profit – through the sale of that plastic. If ever there was an idea worth spreading, this was it. And that is exactly what happened. A virtual tsunami of media attention followed his TEDxDelft performance, and the video of his talk has been viewed almost a million times on YouTube. The one thing conspicuously absent from the publicity frenzy was Slat himself. So what has he been up to? Slat has been busy working on the practical side of his idea. He has, so to speak, been trying it at home. Although “home” in this case is the Ocean Cleanup Foundation he set up. Together with a team of some 50 engineers, modellers, and engineering students he is now conducting a feasibility study. His decision to stay out of the public eye was a conscious one, as well as a conscientious one. He objects to the media presenting his concept as a as a feasible solution as long as it is still in the investigative phase, as he explains on his website. He urges the press to wait for the outcome of the feasibility study, which is expected to be published in early 2014. But now for the good news: he is making an exception for TEDxDelft 2013. 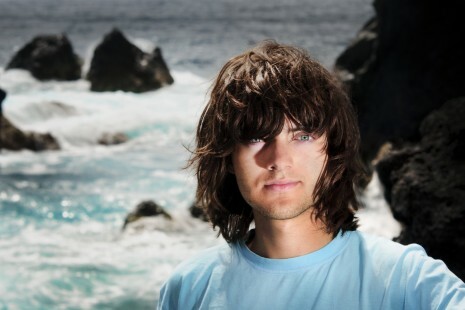 Boyan Slat will come and tell us the latest about the Ocean Cleanup project. Moreover, he is the living proof of what can happen if you take dare to take that first step. It will be one of his first public appearances since TEDxDelft 2012. So if you still needed another good reason to book your ticket, now you have one. The people behind TEDxDelft – TEDxDelft 2013 | Toine Andernach –... TEDxDelft Salon 2013 | Feels like New York.